Submission by Labour Party Marxists to the Shami Chakrabarti inquiry into anti-Semitism and other forms of racism in the Labour Party. There is a well organised, well financed, utterly cynical, anti-left witch-hunt going on. Supporters of the Alliance for Workers’ Liberty and Socialist Appeal have been targeted. But it is the synthetic hysteria generated over ‘anti-Semitism’ that has claimed by far the most victims. Obviously, this is part of the attempt to undermine Jeremy Corbyn. However, there is a bigger picture. Read the Israeli press. It is clear that there is the coming together of two distinct offensives. The first has been going on long before anyone thought of Corbyn becoming leader of the Labour Party. For those coordinating pro-Israel, pro-Zionist propaganda, a few cracks had started to appear in the edifice. This is noticeable mainly, but not only, in the United States – which is, of course, the main arena for the pro-Zionists – but here in Britain too. There has been a shift in public opinion regarding Israeli policy and the conflict in the Middle East and the legitimacy of Israel as a colonising-settler state. Take, for example, the ongoing primary campaign for US president. Its most encouraging feature is that, of all the serious candidates, the one who is attracting the most support amongst the broad left – especially among young people, including and especially among young Jewish people – and who happens to be Jewish, is the only one who refused an invitation to address the main pro-Israel lobby, the American Israel Public Affairs Committee (Aipac). Besides running as a socialist and gaining huge support, Bernie Sanders is the only candidate who has talked about the rights of the Palestinian people. He has not gone as far as we would like, but in the US context his success has been a potential game-changer. Opinion polls show he has gained support both amongst Muslims and Jews, especially the young. The campaign for boycott, divestment and sanctions has played a crucial role. When the BDS campaign was in its infancy there was some discussion about whether it could actually overthrow the Zionist regime – just as some people thought a boycott of South Africa could overthrow apartheid. Of course, direct analogies between South Africa and Israel are misleading, because they represent two different modes of colonisation. That said, while sanctions might help to produce favourable subjective conditions, those who think they are going to overthrow any such regime that way are clearly deluding themselves. The BDS campaign has though mobilised public opinion. 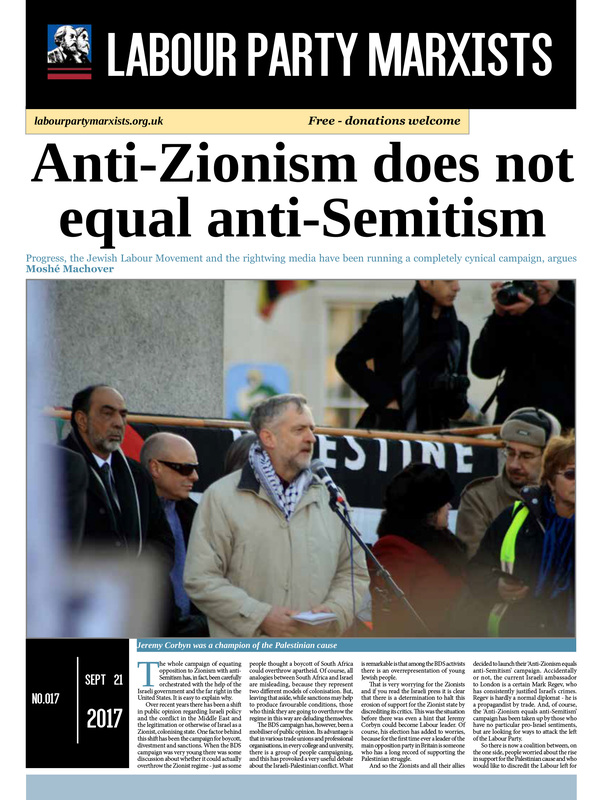 Its advantage is that in CLPs, trade unions and professional organisations, in colleges and universities, there are people campaigning for BDS and this has provoked a very useful debate about the whole Israeli-Palestinian conflict. What is particularly notable among the BDS activists is the overrepresentation of young Jewish people. That is very worrying for the Zionists. And if you read the Israeli press it is clear that there is a determination to take measures to halt the erosion of the legitimacy of the Zionist state and the move to brand anti-Zionism as the “new anti-Semitism”. This was happening well before there was even a hint that Jeremy Corbyn could become Labour leader. Of course, his overwhelming victory has added to Zionist worries. For the first time ever a leader of the main opposition party in Britain is on record as championing the Palestinian people. And so the Zionists and all their allies decided to target Corbyn. Accidentally or not, the current Israeli ambassador to London is a certain Mark Regev, who has in the past justified genocide. Regev is hardly a normal diplomat – he is a propagandist by trade. 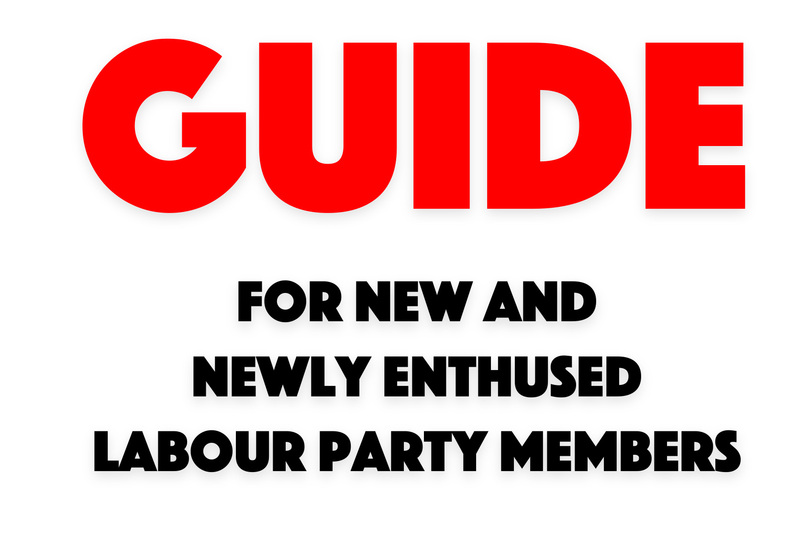 The campaign of branding people anti-Semites has merged with the efforts of those who have no particular pro-Israel sentiments, but are looking for ways to attack the Labour left. So there is now a coalition between, on the one side, people worried about the rise in support for the Palestinian cause and those determined to discredit Corbyn and the Labour left for that reason; and, on the other, people like the vile blogger, Guido Fawkes, whose real name is Paul Staines – a rightwinger who would do anything to discredit Corbyn and the Labour left. He is using anti-Semitism smears for opportunistic reasons, not because he really cares one way or the other about Israel/Palestine. So what have they come up with in regard to the accusations of anti-Semitism? A few essentially trivial examples and some non-examples. Most of what has been publicised in the press fall into the latter category. Let us deal with four examples – all have been widely publicised in the media. First Naz Shah, one of the 2015 generation of new Labour MPs. Some years ago she shared a graphic of Israel superimposed on the United States. This was accompanied with the ironic strap that the Israel-Palestine conflict would be resolved if Israel could be relocated somewhere in the US deep mid-west. This image originated in the United States and was, obviously, a satirical comment on Washington’s unstinting support for Israel – Norman Finkelstein, the well-known Jewish, anti-Zionist professor, prominently featured it on his website. And yet the image was supposed to reveal some kind of anti-Semitism. Anybody who thinks that this was anything but a piece of satire should have their head examined. Obviously nobody was seriously suggesting that Israel should be physically relocated. But, despite that, it was claimed that the implication was that the entire Israeli population are to be ‘transported’ to the US, just as the Jews had been transported to Auschwitz. So the image must be anti-Semitic. In fact this is the sort of joke that is very popular in Israel, as well as in the US, because it says a lot about the relationship between the imperial sponsor and its client state. Then there is Tony Greenstein, a member of the Jewish Socialists Group and the Labour Party, and an inveterate anti-Zionist blogger. One of the charges against him is that he wrote an article titled ‘Israeli policy is to wait for the remaining holocaust survivors to die’. This was deemed a terrible accusation by the Labour Party’s opaque Compliance Unit and presumably clear evidence of anti-Semitism. It is, of course, a terrible accusation, but exactly the same charge is made in Israel’s Ha’aretz newspaper. It ran a piece, ‘Israel is waiting for its holocaust survivors to die’. It is undoubtedly true that the Israeli state is parsimonious in the extreme when it comes to providing benefits to holocaust survivors. Thousands live in dire poverty, forced to choose between heat and food. Israel has, of course, received billions of euros in reparations from the German state. But it has preferred to spend the money on the holocaust industry – memorials, propaganda and well-paid sinecures – rather than on holocaust survivors. Next there is an example – not from the Labour Party, but from the left more generally – of the president of the National Union of Students, Malia Bouattia, who co-authored an article five years ago saying that Birmingham University is “something of a Zionist outpost”. If we said, rightly or wrongly, that University College London is ‘something of a ‘leftist outpost’, so what? Of course, if you believe that ‘Zionist’ is a synonym for ‘Jewish’, then perhaps that does not sound good. But that is a Zionist conflation and there is no indication that this is what Malia Bouattia meant – her whole history contradicts such an assumption. Finally Ken Livingstone. Speaking in defence of Naz Shah, on BBC London’s Vanessa Feltz show, he said that Hitler “supported Zionism until he went mad”. This is certainly inaccurate and Livingstone would have been well advised to have done a little more basic research. However, the point he was making is essentially correct. How should the left react under such circumstances? Jon Lansman, chair of Momentum, urges us to drop the “counterproductive slogan” of Zionism. Criticising this or that concrete action by the Israeli government is perfectly legitimate – but not Zionism. Comrade Lansman says we should not alienate those who might otherwise agree with us on austerity, combating inequality, etc. Dropping all mention of Zionism just does not work. Even the Zionists accept that Israeli policy on this, that or the other can be criticised. Eg, Israel’s continuing occupation and colonisation of the West Bank. But why does Israel persist with this policy? It has been condemned by Barack Obama and John Kerry. The same goes for David Cameron. The settlements are illegal, constitute an obstacle to peace, etc. So why does Israel do it? How can you explain it? It can only be explained by the fact that expansion and colonisation are integral to Zionism. Understand that and you understand that there is nothing strange about what Israel is doing. It is not as if expansion and colonisation were a policy confined to the current government of Binyamin Netanyahu. It has been carried out by all Israeli governments since 1967 and it took place within the former borders – the so-called ‘green line’ – before 1967. There has been an ongoing policy of Zionist colonisation from the very beginning. You cannot explain why Israel is continuing with a policy that is not winning it any friends without mentioning Zionism. 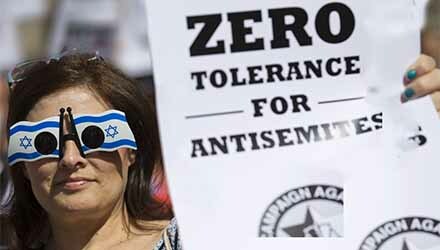 On the contrary, far from dropping all mention of Zionism and retreating in the face of the ‘anti-Semitism’ smear campaign, we should go onto the offensive and be aggressive: Zionism must be fearlessly attacked. And we can also attack Zionism precisely because of its collusion and collaboration with anti-Semitism, including up to a point with Nazi Germany. We should not respond to the witch-hunt by refusing to defend Ken Livingstone and confining ourselves to anodyne platitudes: “We stand against racism, including anti-Semitism” (Jeremy Corbyn, John McDonnell, Owen Jones, Liz Davies, etc). In effect this is to accept that anti-Semitism is actually a problem on the left. While, of course, we oppose all manifestations of anti-Semitism, the fact is that today those on the left who propagate a version of the Protocols of the Elders of Zion carry no weight and are without any intellectual foundation. They are oddities who exist on the fringes of the fringe. Given that the Labour Party tolerates, even promotes, the so-called Jewish Labour Movement, things must be put in their proper perspective. Rebranded in 2004, JLM is the successor organisation of Poale Zion, a nationalist organisation which affiliated to the Labour Party in 1920. JLM is, in fact, not open to all Jewish members of the Labour Party. It only accepts Zionists. Amongst its key aims is to promote the “centrality of Israel in Jewish life”. It defines Zionism not as a colonial-settler project, but the “national liberation movement of the Jewish people”. 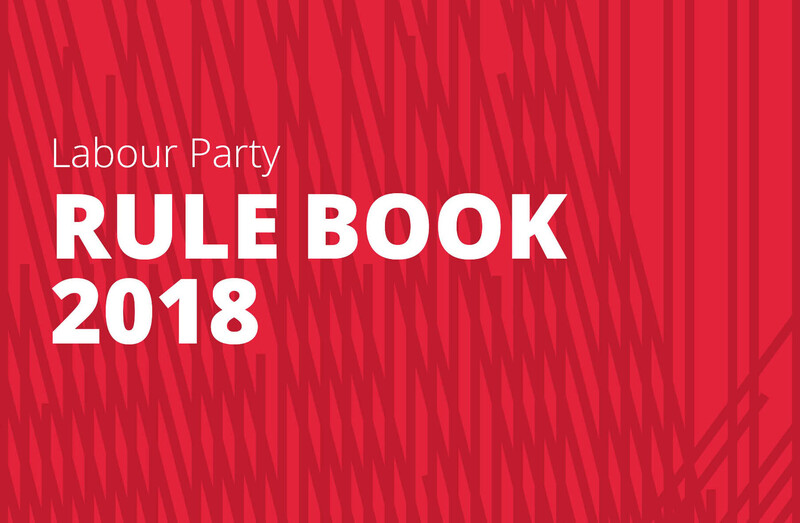 Despite this travesty, it is still an official Labour Party affiliate (it is also affiliated to the World Labour Zionist Organisation and the World Zionist Organisation). That Baroness Royall proposes to put JLM in charge of policing ‘anti-Semitic’ attitudes in the Labour Party must be rejected outright. The fact of the matter is that JLM, Labour Friends of Israel and fraternal relations with the Israeli Labor Party are a real problem. They are certainly not part of the solution. 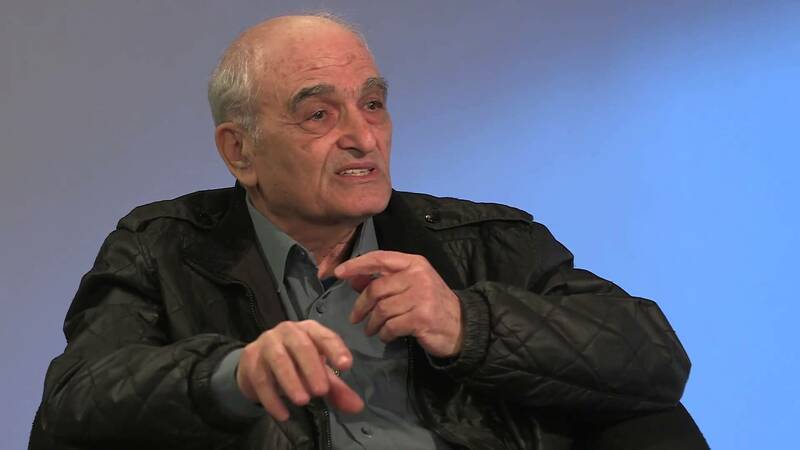 I understand … that the Zionists do not merely propose to form and establish a Jewish nationality in Palestine, but that they claim all the Jews as forming at the present moment a separate and dispossessed nationality, for which it is necessary to find an organic political centre, because they are and must always be aliens in the lands in which they now dwell, and, more especially, because it is “an absolute self-delusion” to believe that any Jew can be at once “English by nationality and Jewish by faith”. They pointed out that the theories of political Zionism undermined the religious basis of Jewry, to which the only alternative would be “a secular Jewish nationality, recruited on some loose and obscure principle of race and of ethnographic peculiarity”. But this would not be Jewish in any spiritual sense, and its establishment in Palestine would be a denial of all the ideals and hopes by which the survival of Jewish life in that country commends itself to the Jewish conscience and Jewish sympathy. On these grounds the Conjoint Committee of the Board of Deputies and the Anglo-Jewish Association deprecates earnestly the national proposals of the Zionists. This turned out to be highly prophetic. Let us turn now to the Zionist-Nazi connection. In fact it sounds more shocking than it is, because we are talking about the early days of the Nazi regime. Today the holocaust is taught in schools, so people may know that the policy of extermination of Jews actually started officially in January 1942, when a Nazi conference was convened in Wannsee under the chairmanship of Reinhard Heydrich. Heydrich was second in command to Heinrich Himmler, the head of the SS. In 1934 the German rabbi, Joachim Prinz, published a book entitled Wir Juden (We, the Jews), in which he welcomed the Nazi regime. That regime wanted to separate Jews from non-Jews and prevent assimilation – as did the Zionists. To repeat: we must go on the counterattack against the current slurs. 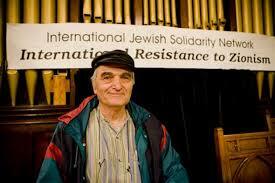 It is correct to expose Zionism as a movement based on both settler-colonisation and collusion with anti-Semitism. We do not apologise for saying this. If you throw the sharks bloodied meat, they will only come back for more. At the moment the left is apologising far too much, in the hope that the right will let up. They will not stop until they succeed in their aim of deposing Jeremy Corbyn and returning the Labour Party to slavishly supporting US policy in the Middle East. 1. Reproduced in B Destani (ed) The Zionist movement and the foundation of Israel 1839-1972 Cambridge 2004, Vol 1, p727. 2. The Times May 24 1917. 4. See M Machover and M Offenberg Zionism and its scarecrows London 1978, p38, which directly quotes Die Nurnberger Gesetze. See also F Nicosia The Third Reich and the Palestine question London 1985, p53; and FR Nicosia Zionism and anti-Semitism in Nazi Germany Cambridge 2008, p108.The latter cites a 1935 article by Bernhard Lohsener in the Nazi journal Reichsverwaltungsblatt. 5. Das Schwarze Korps September 26 1935.